Anonymity: an alluring cloak of hidden identity. From the simple delight of a prank call to the more sinister evolution of internet trolling, the reverberations of such obscurity across virtual space can be unexpected. Who could have foreseen the outcome of the innocent 2Day FM prank call last year to the hospital that was treating Kate Middleton for morning sickness? Welcome to the dark side of the net, and cue internet trolls. Emboldened by the anonymity of cyberspace, ‘trolls’ abuse the benefits of a participatory culture as they freely voice opinions online that are considered inappropriate offline. Seemingly devoid of a moral compass, they relish the opportunity to post messages in online communities that are often threatening, sexist or racist. One internet troll, with online alias Nimrod Severan, justified his bigoted and racist comments on Facebook RIP pages to a BBC reporter by arguing that Facebook is an open forum where one is entitled to his or her own opinion. And this is where the issue arises. Does a crackdown on trolling risk contradicting the democratic ambitions of the net? Some suggest the best way to deal with online trolling is to not ‘feed the trolls’, while many propose that pre-moderation of comments or a complete shutdown of comments, as carried out by the King’s Tribune online edition, is the only way to stop trolls in their tracks. However, perhaps an alternate solution comes in removing the cloak of anonymity that many internet trolls hide behind. While hidden identity may allow one to “break taboo subjects and speak against the hive mind”, as one comment on the SMH article The Dark Side of the Net suggests, the abuse of this power by internet trolls should not be tolerated. Democracy works in two ways- freedom of speech, but also freedom of action under LAW. 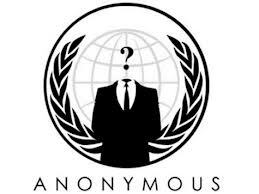 Just as the hashtag #mencallmethings was used to “name and shame” misogynist internet trolls, and The Antibogan exposes those who commit online injustice, perhaps we should be focusing on unmasking the anonymous. While this is not suggesting total transparency of online identities, the threat of exposure may cause trolls to think twice before making a misogynist or racist comment in fear of retribution. Taking away their anonymity may be the solution to locking away the Hyde in every Dr Jekyll for good and in maintaining a HEALTHY online democracy. Does copyright inspire expression or oppression? Copyright. A life sentence. A guarantee to preserve an original published idea. But at what cost? Does the exponential growth of the term of copyright serve to encourage expression or harbour oppression? And what significance does originality now hold in the realm of the big © as we continue down the path of technological convergence? Copyright is paradoxical in nature. As William Patry points out, in Steve Collins’ article Recovering Fair Use, it was designed to “encourage learning and the creation of new works”, however now serves to “supress models and technologies”. The original protection granted by copyright (14 years monopoly) was designed to foster creativity, providing an incentive for budding authors with the promise of exclusive rights, assets and recognition. However as the term of copyright continues to grow, its purpose has become blurred. In the past, many revolutionary works built on the ideas of their predecessors – as Isaac Newton stated, “If I have seen further, it is by standing on the shoulders of giants” (1676). Although Newton expresses that progression in knowledge and a desire to ‘look further’ stems from collaboration, copyright now restricts works from entering the public domain for at least 70 years after the author’s death- denying prospective authors access to the works of their colleagues and thus to a collaborative approach to creation. We have been left to rely on our own imagination. But as Emerson Davis points out in Recovering Fair Use “few, if any things, are strictly original throughout. Every book in literature, science and art borrows and must necessarily borrow” . Although we like to think we’re unique (or uni-que as my the title of my blog page suggests), it is guaranteed that almost every inspired idea has been considered before, or that we are basing our work, as Newton describes, on preconceived notions. So what does this mean for copyright? Simply- first in best dressed. Take the case of Joe Satriani vs. Coldplay- the grammy-winning Viva la Vida used a riff almost identical to one in Satriani’s If I Could Fly. A breach of copyright or a concurrent inspiration? An out of court settlement was reached, with financial compensation granted to Satriani. Because Coldplay copied…right? Clearly it is necessary to redefine the intent of copyright to ensure an expressive rather than oppressive creative environment is maintained. Thankfully with the introduction of utilities such as Creative Commons, we are beginning to complement our modern sharing culture and “collaborate across time and space” (S. Collins, 2008) . The jail bars begins to rise.